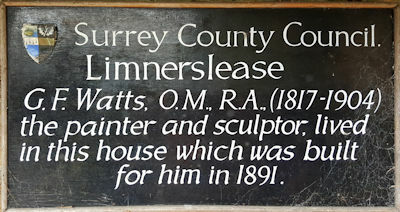 The Watts Gallery Trust has been working to acquire and subsequently restore Limnerslease, the house where the Watts’ lived and had their studios. We saw the house about a year ago, just before the current restoration work was begun in earnest — it’s a huge undertaking, and we’ve been eager to see how it’s coming along. 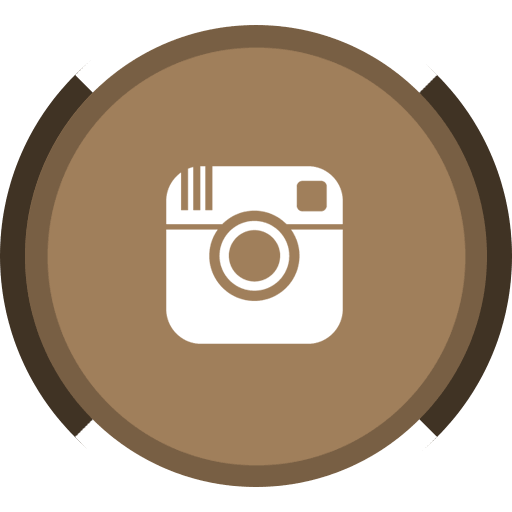 It is, in a word, stunning, and it is clear that the work is deeply meaningful to the entire team of professionals and volunteers who are working on the project. 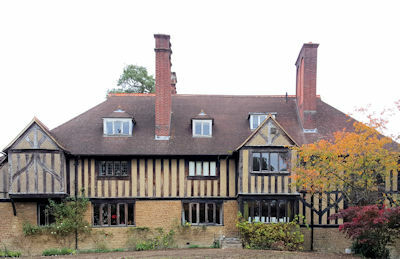 The Watts’ studios will officially open early in 2016, and we’ll visit again then, but for today, we were very happy to be allowed to peek into the accessible areas of the house and the extensive gardens and grounds. 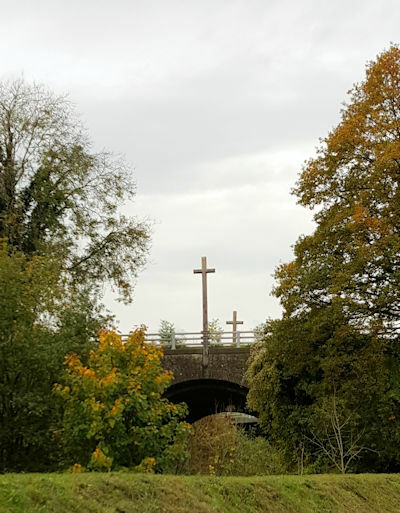 Once again, I found particular delight in seeing the Pilgrim’s Way that runs across the bottom of the hillside — these crosses on the bridge were the work of Louis Reid Deuchars, who intended them to serve as both trail markers and inspirations. Follow the trail far enough, and it will eventually lead you to Canterbury. 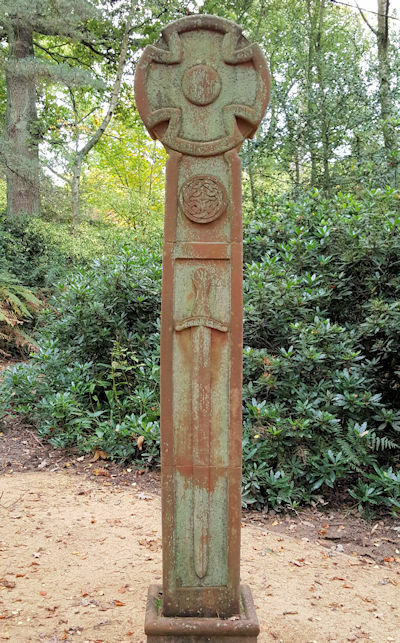 Just off the trail is this memorial cross created by Mary to honour her husband after his death in 1904. Now that we know it is there, we make a point of stopping to see it whenever we are in the area. Did you see Brian Mays this time? !